Fica aqui o topico para falar de assuntos mais gerais da Apple. 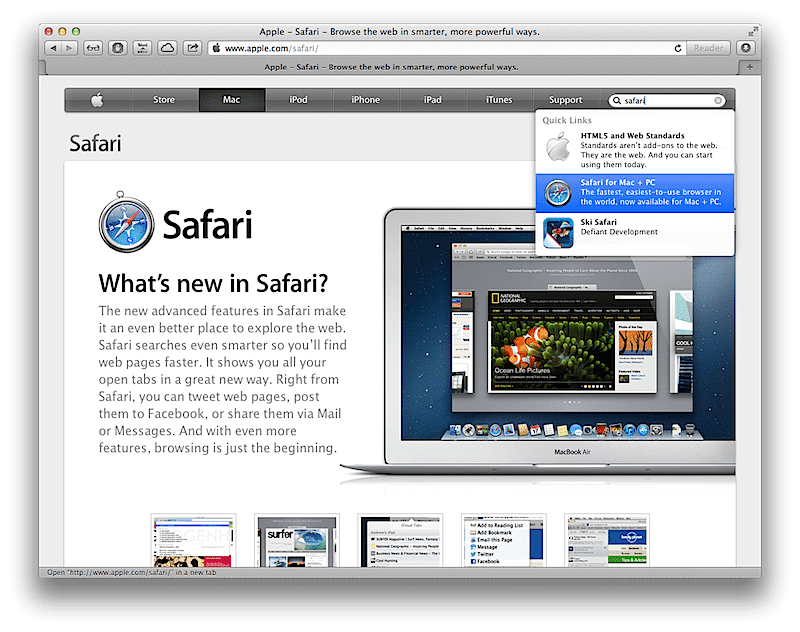 As Google Search’s contract with Apple nears its end, Yahoo and Microsoft are both vying to replace it as Safari’s default search engine. Yahoo have already stepped into the vacant spot Google left at Firefox, becoming their search engine of choice, and now another lucrative partnership is due for negotiation when Google’s agreement with apple expires next year. Deve vir a ser o Bing a escolha. Já é em tudo menos no Safari. Vamos esperar para ver. Foi a MS que salvou a Apple há quase uma década atrás, com uma boa injecção de dinheiro. Não fosse a relação entre o Steve Jobs e o Gates e hoje a Apple já não existia. EDIT: Corrigi o erro. FOi a MS que salvou a Apple. Voltamos ao MS melhor e o resto é por causa disso? Onde é que escrevi que a MS era melhor que o que quer que fosse? Lês lá isso? Para alguem de excitado não entendes o que te dizem... :/ ou entao voltaste ao mesmo! Quote -> "Se foi a relação com o Gates que salvou a Apple... Deve ter sido a MS e não a AMD a injetar dinheiro"
Eu disse vai ler um pouco do que se passou! Tu sabes mesmo do que falas não haja dúvida, turtos se não sabes porque é que escreves ? Então diz me tu o que se passou! É que já agora aprendo algo novo. Steve Jobs legacy continues to grow even in death. Over the past three years since his passing, Jobs has won 141 patents posthumously from the U.S. Patent and Trademark Office.Altogether, a third of the 458 patented inventions and designs credited to Jobs have been approved since he died. Mesmo não estando no mundo dos vivos continua a ser impressionante a presença deste homem nas nossas vidas e a mostrar o quanto estava à frente do seu tempo, sem duvida alguma um dos maiores genios do meio informatico. No, you are not seeing things, that headline is true. In an example of Steve Jobs’ superhuman nature, tomorrow he will appear in court to argue over an iPod antitrust case. He isn’t exactly rising from the dead, but rather he will appear in a video deposition recorded before his death. In mid-September, Apple CEO Tim Cook posted an open letter outlining his company’s commitment to privacy. Cook explained that his company makes customer privacy a high priority and that collecting vast amounts of user data simply isn’t a priority for Apple. “You’re not our product,” Cook added. 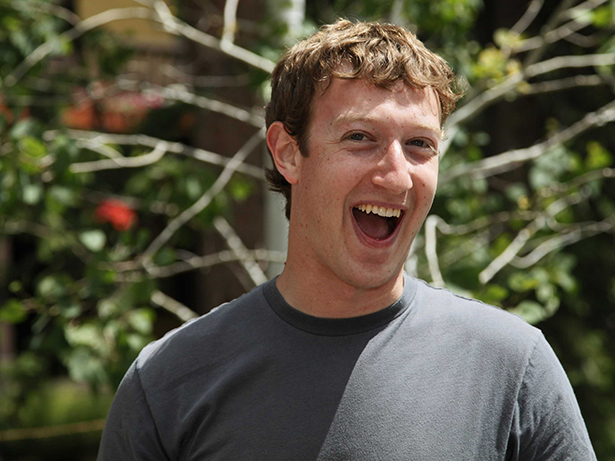 Facebook CEO Mark Zuckerberg, 30, definitely heard the comments from Cook loud and clear, and he took the time to address them in a new interview with Time Magazine. "A frustration I have is that a lot of people increasingly seem to equate an advertising business model with somehow being out of alignment with your customers," Zuckerberg fired back. He went on to add that it’s actually Apple that doesn’t have its customers’ best interests in mind, citing the relatively high pricing of its products compared to competitors. 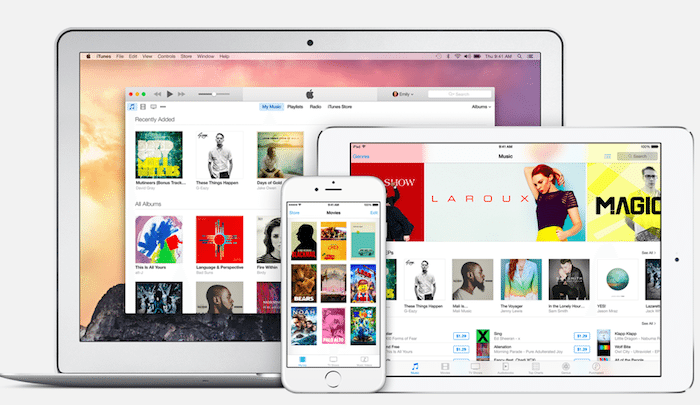 "What, you think because you’re paying Apple that you’re somehow in alignment with them? If you were in alignment with them, then they’d make their products a lot cheaper!" According to IDC forecasts for 2014, the average selling price for Apple’s iPhone is $657. By comparison, the average selling price for smartphones running Google’s Android operating is less than half that price at just $254. It’s interesting to see such a war of words brewing between tech’s “elite class.” Mark Zuckerberg is just the latest to respond to Tim Cook’s war of words. Google Executive Chairman Eric Schmidt already responded to Cook’s comments back in early October. "Our systems are far more secure and encrypted than anyone else, including Apple,” said in an interview with CNNMoney on October 2. “They're catching up, which is great." 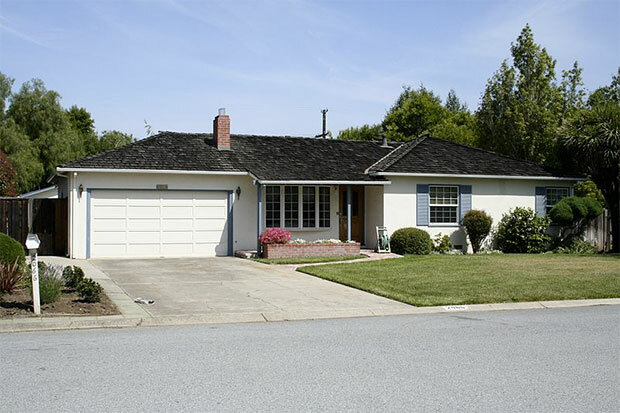 Every budding entrepreneur is familiar with Apple's humble beginnings in a garage. From there, the company grew. And grew, and grew, and grew to where it is today -- a firm with a market capitalization just shy of $680 billion, and that's after the recent (and inexplicable) stock drop. Budding business owners use that story as motivation, just as teenage athletes are told that Michael Jordon was cut from his high school basketball team before going on to become one of the best NBA players of all time. The thing is, we as a species tend to romanticize history, and while Jordan really was cut from his high school squad, the story of Apple starting out in a garage isn't entirely accurate. So says Apple co-founder Steve Wozniak. The revelation came during an interview with Bloomberg, with Woz calling the story of Apple's startup days an overblown myth. That's not to say the garage didn't play a role, it just wasn't nearly as meaningful as the legend would have us believe. "The garage is a bit of a myth. It's overblown," Woz says. "The garage represents us better than anything else, but we did no designs there. We would drive the finished products to the garage, make them work and then we'd drive them down to the store that paid us cash." On most occasions, there were never more than two people in the garage, and usually they weren't being productive, Woz recounts. And as far as tinkering with finished products inside the garage, it was short lived, as the two Steves "outgrew" to location rather quickly. Esse é o maior mito da indústria.